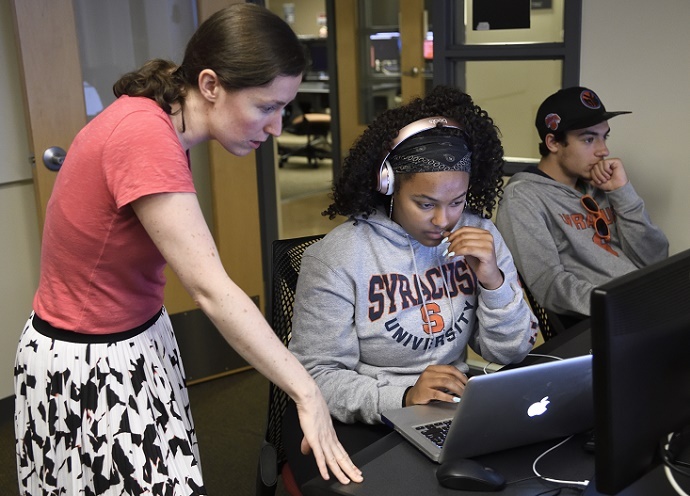 Summer College announces that the dependents of Syracuse University faculty and staff are eligible for a 15 percent discount for the 2019 Summer College for High School Students program. Also new for 2019 is an exclusive 15 percent discount for Central New York residents of Onondaga, Oswego, Madison, Cayuga, Cortland and Oneida counties. The discounts can be combined for a total of 30 percent when students elect to reside in the residence hall. Information about all discounts can be found here. Syracuse University Summer College offers high school students the opportunity to explore their interests and experience college life for one to six weeks, with more than 40 credit and noncredit pre-college programs. Students must be 15 years old by the start of the program. Architecture students must be rising high school seniors. Students will learn about potential careers and college majors while taking courses such as sports analytics, aerospace engineering, filmmaking, cybersecurity and public communication, to name a few. They will live in a residence hall with other high school students from around the world and participate in a range of social and recreational events while balancing the academic rigor of college courses. Nazrun Chowdhury, a senior at Marble Hill School for International Studies in the Bronx, attended the 2018 Summer College program. Chowdhury says the benefits of the program far outweighed the challenges he faced balancing homework, the rigors of schoolwork, and socializing with his new friends. “Summer College not only opens a window of experience for students to see what college demands from you and what it takes for you to go the distance, it really opens your eyes what college life is like,” he says. The 2019 program runs from June 29-Aug. 9. Applications will be available beginning Dec. 1, 2018. For more information, email sumcoll@syr.edu or call 315.443.5000.